Olympia’s own TUSH! 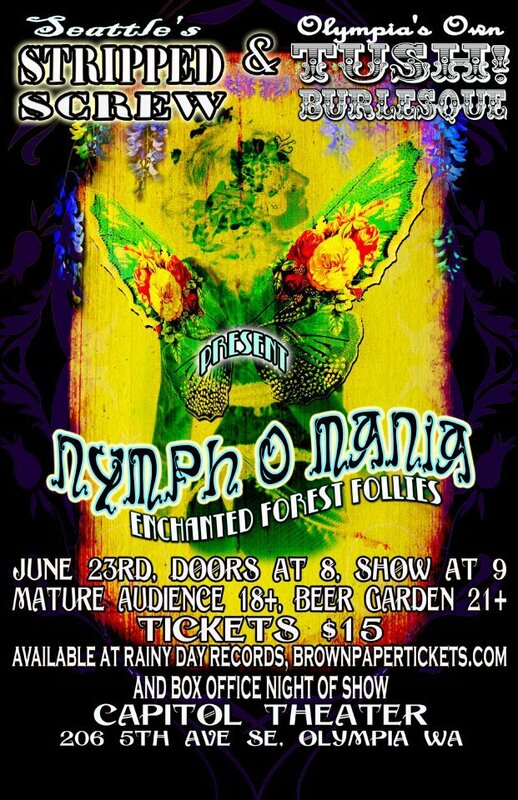 Burlesque and Seattle’s Stripped Screw will frolic and mingle with wild abandon this Saturday at Olympia’s majestic (and reportedly haunted?) Capitol Theater. It’s been a minute since the ladies have worked together- some may recall that Stripped Screw took their touring show Disney After Dark to Olympia last year. TUSH!- unique not only for their many, many foxy members but for their unbridled creativity- worked with equally innovative Stripped Screw long distance to bounce ideas around for a collaborative show. What resulted was the idea of a Midsummer Night’s Dream-like wonderland of enchanted forests filled with “mythological creatures and animalia”. A seductive, summery theme and two sets of clever, clever girls? Sounds like a road trip is in order. Olympia’s not far- and if you haven’t seen TUSH! yet – you really must. A sneak peek at Stripped Screw’s abandoned mental hospital shoot by Wavepainter Photography. 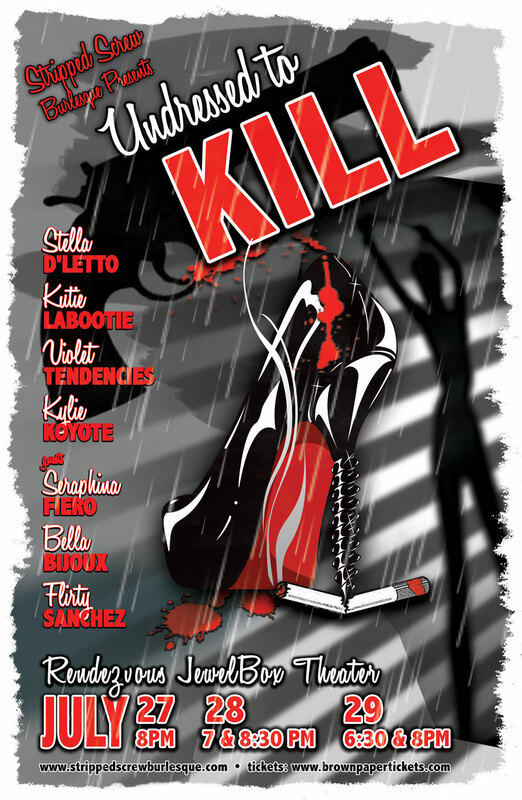 Also – just an early warning- Stripped Screw’s new show Undressed to Kill is coming up in July. Read all about it at HERE or check out www.strippedscrewburlesque.com. ~ by angrytruffle on 06/22/2012.